Auto Insurance | Utah | Four Seasons Insurance Agency, Inc. Here at Four Seasons Insurance Agency, Inc., we know that auto insurance is one of the most important components of your financial portfolio. And it’s something that we take very seriously around here. When you purchase car insurance, you are insuring much more than a hunk of metal on four wheels. You’re protecting your means transportation, which represents a sizeable monetary investment. But you’re also protecting your future and financial well-being. As you may know, Utah requires motorists to carry a mandatory level of liability insurance on their vehicles. But auto liability insurance is important for many other reasons. In the event of an accident, auto liability coverage protects you against the losses of others. If other people or their property are harmed – and you determined to be at fault – you can be subject to lawsuits and judgements. Auto liability insurance protects your assets as well as your peace of mind. Comprehensive coverage is the portion of your car insurance policy that protects you in the event of theft or damage to your vehicle. It covers you for road hazards, vandalism and glass breakage as well, in most cases. Collision coverage insures your vehicle for incidents that may occur while you’re driving, such as car accidents and rollovers. If you depend on your vehicle for transportation, these coverages are a small investment for all the benefits they offer. If you financed your vehicle purchase, you are typically required to carry these auto insurance coverages as well, at least until your car loan is paid off. When you opt for full coverage Utah car insurance, you will be protected by bodily injury coverage for your passengers and others who may be involved. Property damage coverage provides compensation in the event you harm or damage someone else’s property or vehicle. 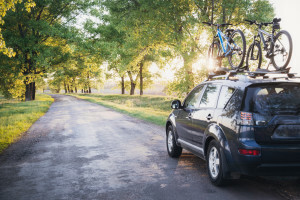 Uninsured and underinsured motorist coverage, medical payment coverage, roadside assistance and rental car reimbursement are just a few of the other options for your Utah auto insurance policy. And, although this list of available car insurance coverages may sound extensive – and expensive – you will be pleasantly surprised when you request a quote from Four Seasons Insurance Agency, Inc.
As an independent agent, we have the ability to shop around on your behalf, to find the maximum level of coverage for the least amount of money. Not only can we save you money on your car insurance premiums, but we also save you the time and hassle of calling company after company to request a quote. Contact us today to learn more about the many auto insurance options we can offer you. We have two convenient office locations to serve you but, in many cases, we can handle everything right over the phone or through email. Trust the experienced professionals of Four Seasons Insurance Agency, Inc. for all of your Utah insurance needs, including auto insurance for your cars and trucks. Four Seasons Insurance Agency Inc.
Franz was professional, friendly and has great customer service. I needed to get insurance for my truck. He was patient & very helpful. He got me the best low rates possible. I will definitely refer my family & friends here. I’m very satisfied! Franz was able to find the best rate with higher coverages, he was fast and attentive. I recommend Four Seasons Insurance Agency for all insurance needs. They are the BEST!